Armani Casa Fall 2016 Collection. In a cross between urban and natural scenery, where there are infinite possibilities for variations created by pairing these two opposites, the intervention of light, projecting a play of shadows and reflections, transform regular architecture into irregular elements. Exquisite embroideries that, over time, have characterised the Armani image, are transformed into textures that are now seen in the home collection. Hence a sophisticated tailored design is created, giving each piece a new type of classical air. 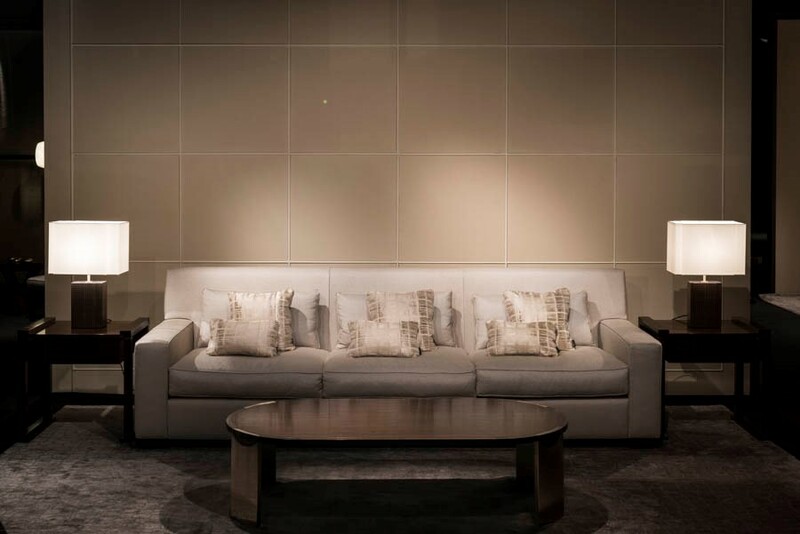 A perfect fusion of Armani fashion aesthetic and philosophy of decor, the Armani/Casa exclusive textiles by Rubelli collection speaks of the deep bond between fashion and furniture. The collection features textures inspired by exquisite embroideries that characterised the designer’s style. A few stronger colours such as ruby red, jade green and sapphire blue pair with more subdued smoky gold and smoky grey. 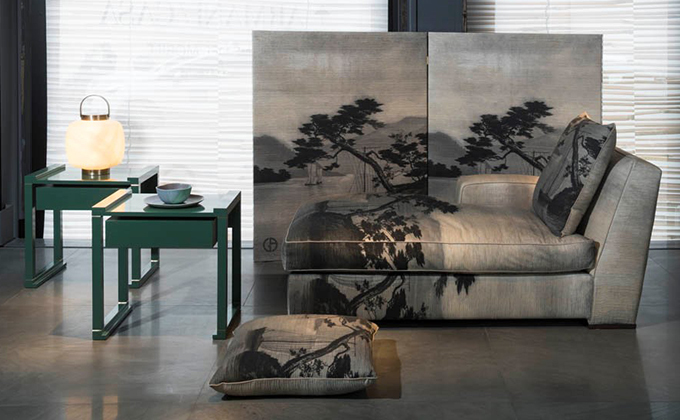 Dreamy Japanese landscapes decorate the collection, based on the design of a fabric from the Rubelli archive.